Built in 21pcs LED lights, which is intelligent to OFF/ON by touch sensor switch. 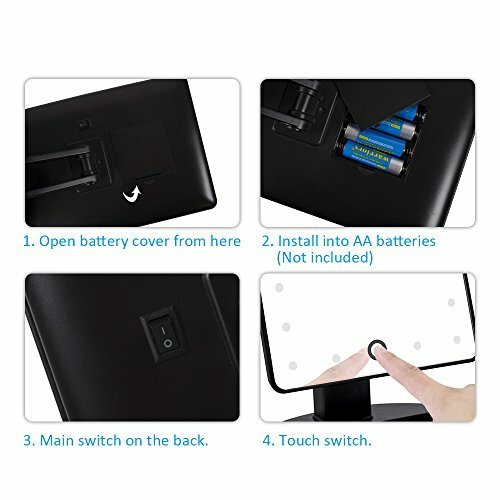 LED control: Touch Screen ON /Off, long press to dim mode. 1. 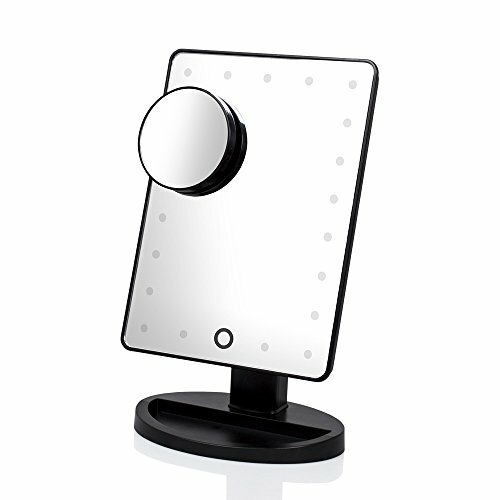 Before touch the sensor switch to turn the light on, please make sure the ON/OFF button located on the back of the mirror is in the ON position. 2. Turn to OFF position before storage. 3. Batteries are included.Controlled by touch sensor switch (battery included), turning LED lights on/off whenever you want. With intelligent adjustable light, press and hold button for several seconds,you can dim the lights. 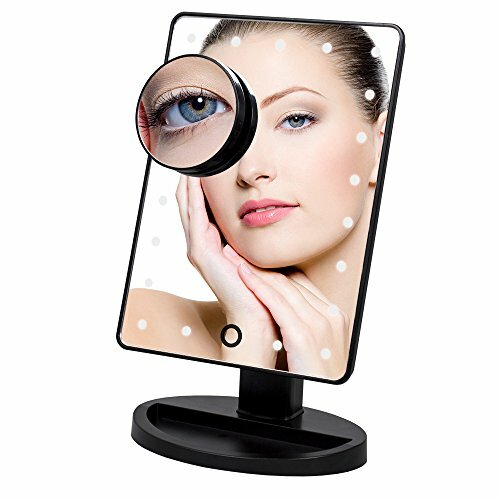 Built-in 21pcs LED light allow you to do your make-up in the dark or poorly lit areas. 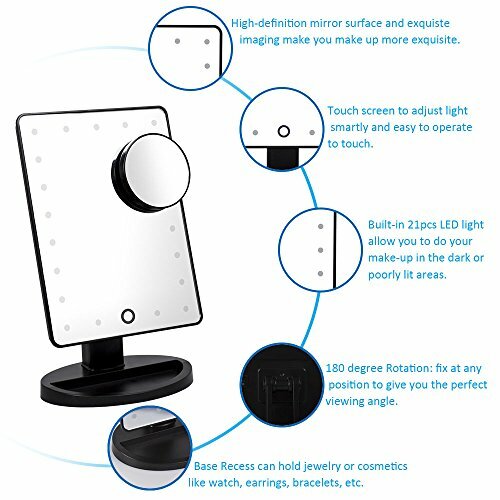 Base recess can hold jewelry or cosmetics like watch, earrings, bracelets, etc. 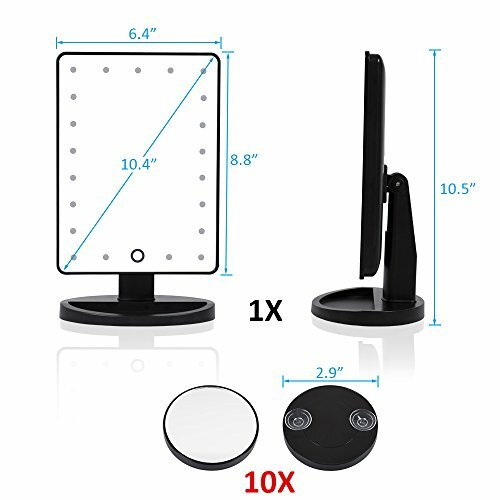 Removable 10X magnification spot mirror make sure every detail of your hair and makeup are in place, perfect for putting eyeliner, mascara, eyebrows, contact lens, etc. 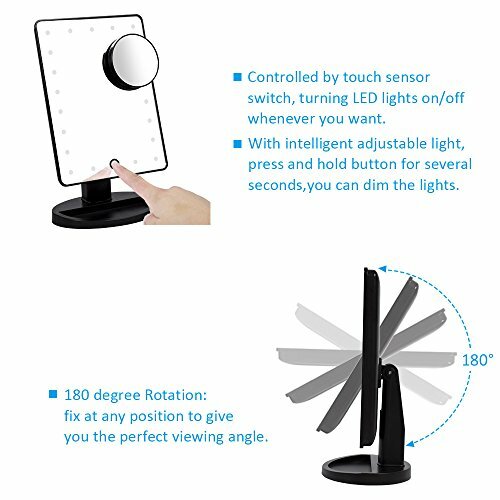 180 degree rotation: fix at any position to give you the perfect viewing angle. 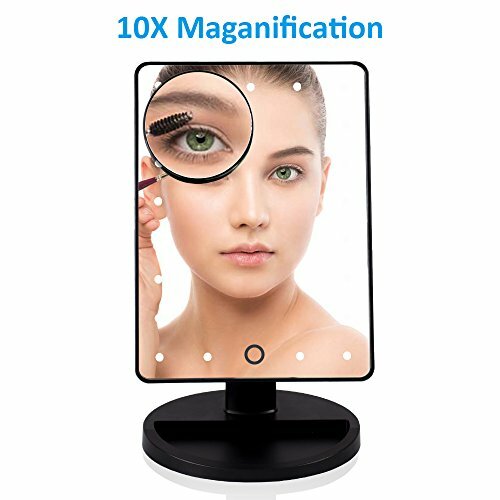 Large screen allows you to get your entire face in view at once. 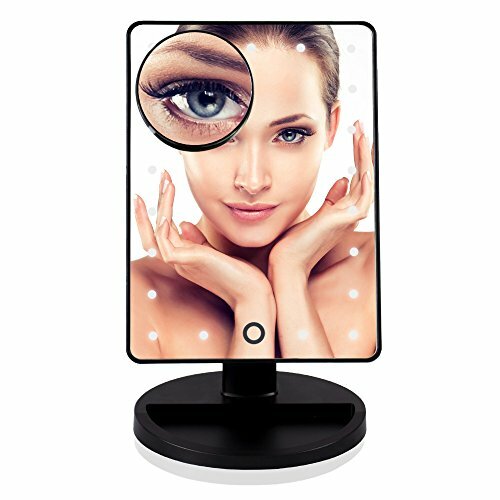 Mirror size: 8.8×6.4 in. Unit size: 10.5×6.4×4.7 in.